Noted as the home of grunge music, Starbucks and the Pike Place Fish Market, Seattle has a lot going on. You can enjoy this city when you leave on a cruise to Alaska, Asia or the Pacific Coast. Just be sure to browse our Seattle cruise deals listed below and contact one of our expert consultants. 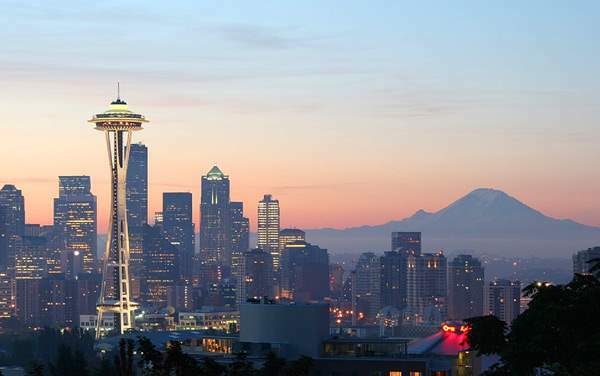 When in Seattle, take in the cool fresh air, ride up the Space Needle, visit a Boeing airplane factory and go on a tour of the city’s underground passageways. If you want to experience nature, you’ll want to take a ferry ride to get a full grasp on the beauty of the Emerald City. Scroll down to find the best deals on cruises leaving from Seattle.